Need to find a new job quickly? In this economy, many people need to find work fast, yet they unwittingly prolong their unemployment. One study found that 95 percent of job seekers make mistakes in their job search that hinder them from securing their next job. The tips in this article will help make sure you are not one of them! Most job-hunting mistakes fall into two categories: (1) unproductive methods of finding job openings, and (2) ineffective interviewing skills. In today’s insecure job market, it makes sense to learn how to use the very best job search strategies. Knowing how to reduce the time it takes to find a new job is one way you can have “employment security” in an unstable economy. There are two different job markets: the advertised (or organized) job market and the hidden (or disorganized) job market. Most job hunters spend all of their time in the advertised job market, which is the most familiar one. It includes jobs that are found on the Internet, in classified ads, and through employment agencies. The jobs are organized and readily accessible. It is the most popular job market because it is the easiest to access. While approximately 95 percent of job hunters rely on the advertised job market to find employment, it is estimated that only 15-25 percent of the available jobs are represented here. As you can imagine, if you are only using the advertised job market your job search process is likely to be slower and more frustrating. Not only is there only a small percentage of actual job openings listed, but you will find more intense competition because of the large number of job hunters who use the classified ads on the Internet and other sources. Some job hunters even give up their search for a particular job because they either see no openings in the classified ads for that type of work, or they get no response to the resumes they have sent. The majority of jobs that are available at any given time are found in the so-called “hidden job market.” The jobs are hidden because they are filled without employers advertising them on the Internet or in newspapers. Finding these jobs requires a more proactive and strategic approach. Job seekers find out about “hidden” job openings through developing personal contacts and contacting employers directly. This job market is more difficult to access, but tends to yield much more fulfilling and rewarding work. Also, when you get into the hidden job market, you may find you are the only applicant for a great job! Does this mean you should avoid using the advertised job market? Of course not! The advertised job market does contain about 15-25 percent of available job openings, and they are organized so that it is easier to find positions for which you qualify. What it does mean, however, is that you should organize your job search work so that you are investing no more than 25-30 percent of your job search time in pursuing possibilities in the advertised job market, and 70-75 percent of your time using strategies to tap into the hidden job market. By dividing your job search time in this way, you will greatly increase your chances of finding employment quickly. An interview is any situation in which you have a face-to-face meeting with a person who has the power to hire you—even if he or she does not currently have a job opening. As one Harvard study found, of the people who found jobs through personal contacts (the hidden job market), 43.8 percent had new positions created for them. Jobs are created each day for people who can prove they can meet an employer's needs. When you think of any conversation with a prospective employer as an interview, you will be better prepared to take advantage of opportunities that arise as you follow up on leads from your personal contacts, and as you contact employers directly. You will be hired when you can prove to the employer that you can meet their needs (i.e., save them money, make something work more efficiently, etc.) better than the other candidates. The key is being able to communicate effectively what you can do for the employer. One study showed that 80 percent of job hunters couldn’t “prove” their top ten skills for the jobs for which they are interviewing. "Proving" your skills means that you can give specific examples that illustrate that you do have the needed skills for the position in question. For example, a secretary might prove she has the skill of organizing systems by saying, "Mr. Employer, recently I organized the company’s filing system, which allowed our staff to find files in half the time it used to take." In order to prove that you are the applicant who should be selected, you need to first know what relevant skills you possess and then be able to cite compelling examples of how you have used those skills. Communicating well also means being able to answer frequently asked interview questions (such as “Why should I hire you?”) effectively. Practice answering interview questions with a friend, family member, or career coach until you feel you could confidently answer most questions in your sleep! Remember that it is not necessarily the most qualified person who gets the job, but rather, the person who can most convincingly communicate in the interview that he or she can do the job. Using effective techniques to find job openings and to interview well can greatly reduce the amount of time it takes to find employment. But remember: knowing this information is not enough; you also need to be persistent in implementing what you have learned. Finding a new job is not easy; most people need support, encouragement, and accountability as they search. Create your own support network of friends, family, and/or fellow job seekers. If you aren’t getting the results you want, you may want to explore professional career assistance to maximize your job search. Doing the same thing you’ve always done to look for work may not be enough in this job market. 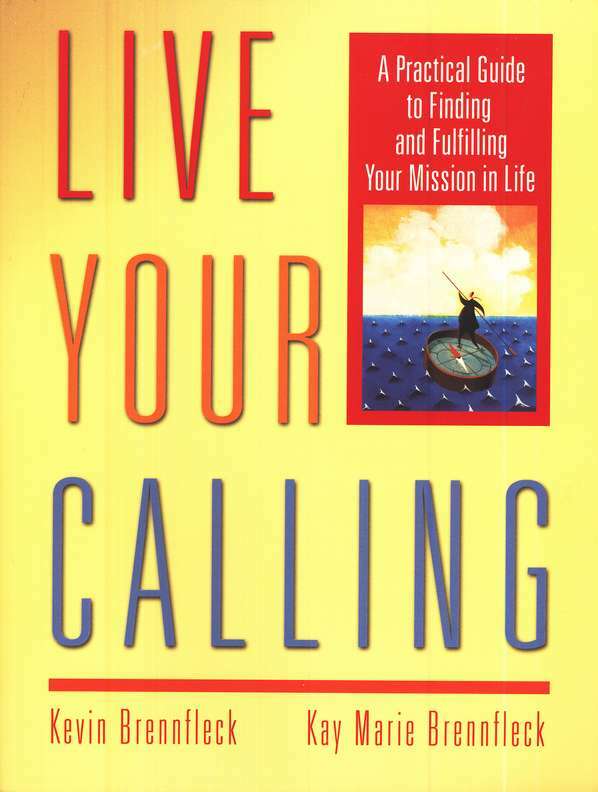 Kevin Brennfleck and Kay Marie Brennfleck are the authors of Live Your Calling: A Practical Guide to Finding and Fulfilling Your Mission in Life. They are National Certified Career Counselors and recognized experts in helping people identify their giftedness and find their purpose in life. Their websites, www.ChristianCareerCenter.com, www.ChristianJobFair.com and www.ChurchJobsOnline.com, feature hundreds of job listings from churches, ministries, and Christian employers; a resume bank; and, career and job search articles. If you are interested in career coaching and testing to discover work that fits your God-given design; or would like assistance with writing a powerful resume, interviewing effectively, finding job openings, or other aspects of a successful job search, you can schedule a free consultation session today.